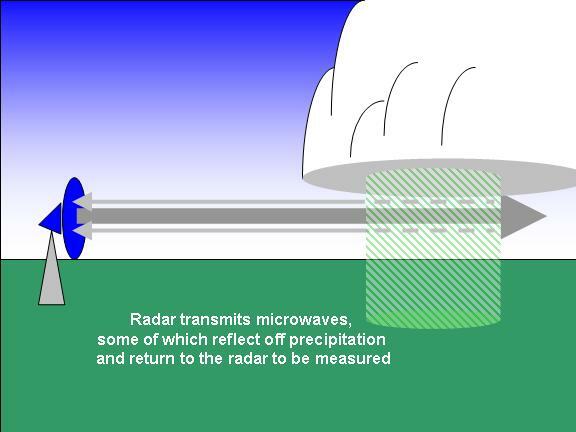 Radar (which stands for RAdio Detection And Ranging) transmits microwaves in a focused beam. Some of this microwave energy bounces off of objects and returns to the radar to be measured. The radar sends pulses of energy, rather than a continuous signal, and it measures how far away an object was when the microwaves reflected off of it. 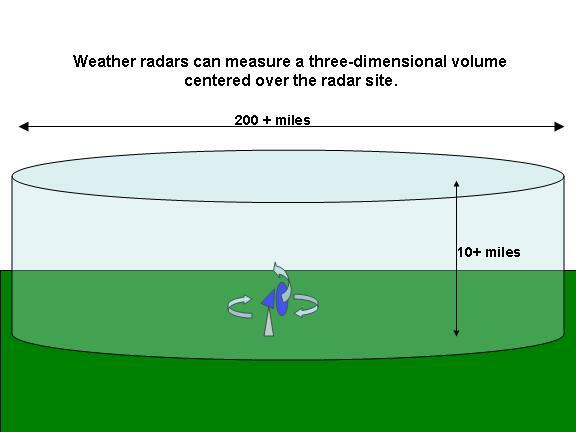 Combined with the radar's ability to scan up and down (elevation scanning) and in a circle in all direction (azimuthal scanning), modern radars can measure the three-dimensional distribution of precipitation within 100+ miles of the radar.